70-odd bartenders sat the exam. 16 made the second round. 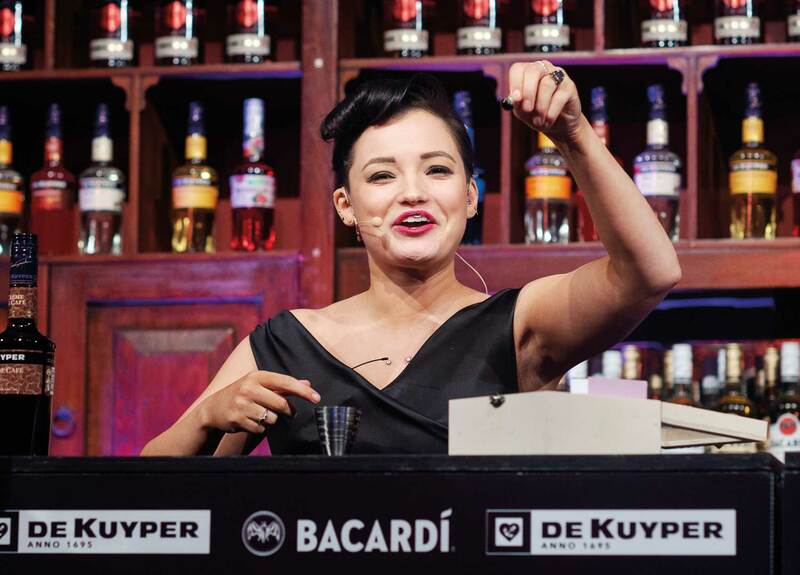 And after the Top 8 round in front of 650 of the industry’s finest, only one was crowned the Bartender of the Year: Ms Jenna Hemsworth of Restaurant Hubert, Sydney. Here’s one of the two drinks that Jenna made for the judges in the final round of the Bartender of the Year sponsored by BACARDÍ & De Kuyper. Stir down all ingredients and serve over block ice. Garnish with gold leaf and lemon oils.